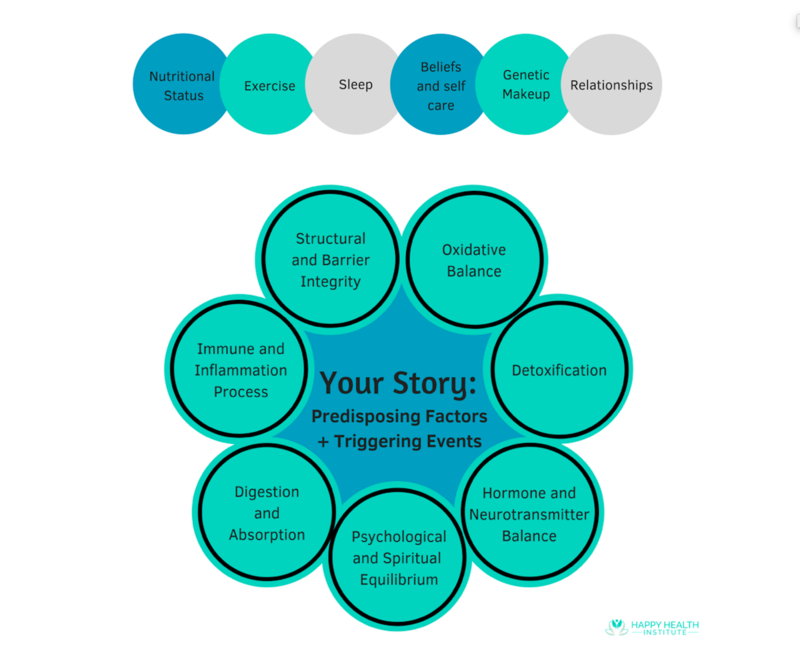 These processes are influenced by both environmental factors and your genetic make-up; when they are disturbed or imbalanced, they lead to symptoms, which can lead to disease if effective interventions are not applied. Most imbalances in functionality can be addressed; some can be restored and others can be substantially improved. Prevention is paramount. Identify long-term disturbances that preceded the illness and manage it effectively. An expanded toolkit. Treatments may include combinations of drugs, botanical medicines, nutritional supplements, therapeutic diets, or detoxification programs. They may also include counseling on lifestyle, exercise, or stress-management techniques. The patient becomes a partner. 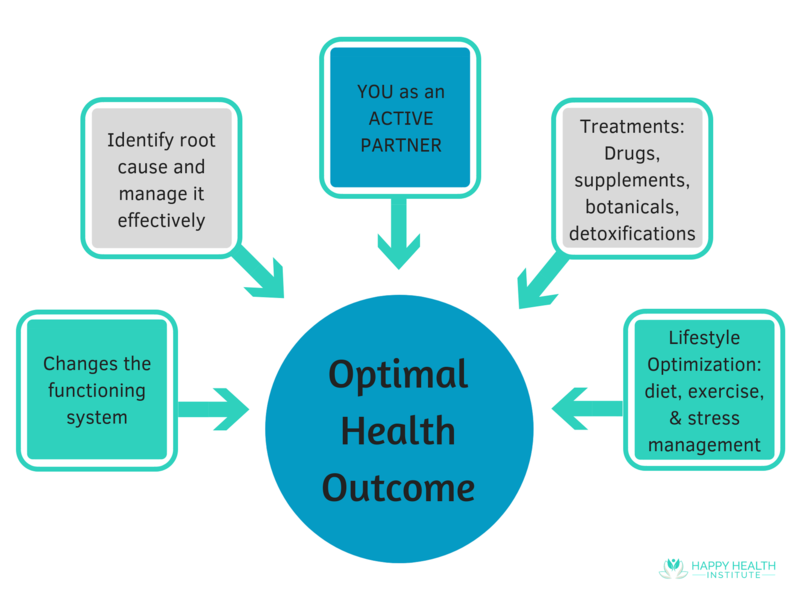 You become an active partner and this allows you to really be in charge of improving your own health and changing the outcome of disease. 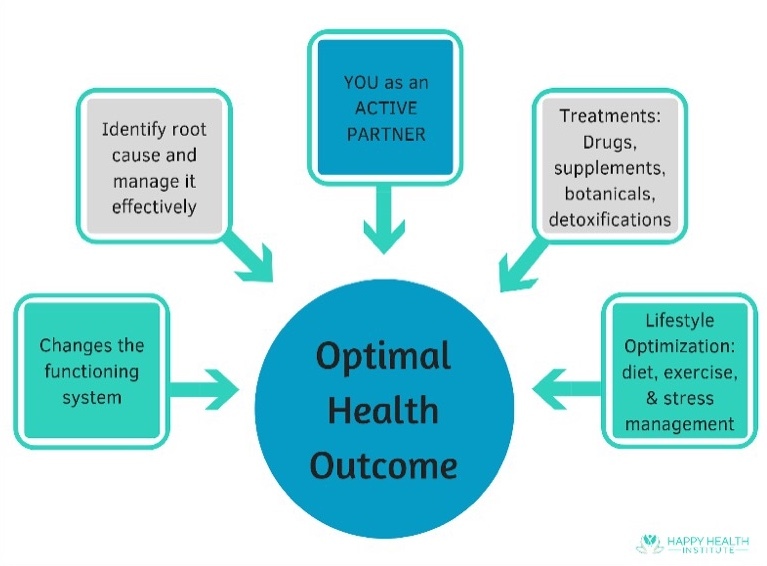 If you are ready to take over your wellness with this approach, fill out this form today to schedule a complimentary 15 min phone consultation with Dr. Onna Lo.